It used to be taken for granted that the best indicator of a nation's health was its citizens' desire and capacity to reproduce. And it should still seem self-evident that people's willingness to have children is not only a sign of confidence in the future, but a sign of cultural health. It's a signal that people are willing to commit to the most enduring responsibility on Earth, which is raising a child. But reproduction is also a sign of national health in a more dollars-and-cents way. The more productive people you have in your society, the healthier your country's economy. It's an idea that was obvious back in the 17th century, when economist Jean Bodin wrote "the only wealth is people." This is still fairly clear, I think. Despite the menacing moves of authoritarian Russia and communist China toward exercising regional hegemony (or more), both countries are severely limited in their aspirations by their birth rate trends. Russia is already aged and in crisis, China will almost inevitably be in such crisis soon. That doesn't mean that married couples should have more kids so that we can forestall the Russians and the Chinese, though both of those nations, at present, pose a far greater existential threat to the peace and security of the United States than do Islamist terrorists. I would argue that our reticence about having more kids in this country is rooted less in concern about the environment, a fear fostered Paul Erhlich's absurdly overwrought book, The Population Bomb, back in the the late-60s and 70s--a fear that many in my generation, fearful of having less, bought into, than it is in materialism and selfishness. We had two children who I love dearly, but I wish that we'd had more. There's simply nothing like family living and being a dad is, for me, not only one of the biggest challenges in the world, but also one of its greatest pleasures. There's something beautiful and humbling about pouring yourself into your children and watching them grow up to be wonderful in spite of your parenting. Today we see the problems wrought by the decline in productive populations all over the industrialized world, where polities are ripping each other to shreds over how to pay for various forms of entitlements, especially for old people. The debates play out in different ways in different countries, but in other ways they are exactly the same. That's because they are ruled by the same ruthless math: The fewer young, productive people you have to pay for entitlements for old, unproductive people, the steeper the bill for the entire society becomes. This basic problem is strangling Europe's economies. And while the United States is among the least bad of the bunch, it is still headed in the wrong direction. 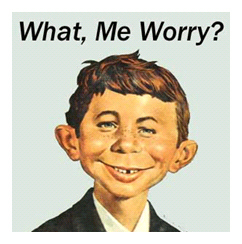 While acknowledging that evidence for the effectiveness of government programs to encourage people to have kids is mixed, Gobry points out "the fact of the matter is that in contemporary America, 40 percent of women have fewer children than they want to." Gobry suggests several ways government could entice husbands and wives to have more kids. But for me, the most compelling reason for bigger families is spiritual. 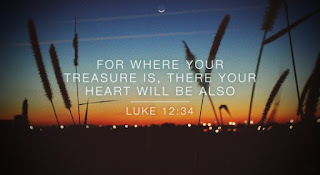 The Bible teaches that it's more blessed to give than to receive. Apart from the fact that a nation with fewer children leads to scarcity, fewer opportunities, less productivity, and economic and military weakness, couples who have the wherewithal to raise families--and far more do than they think they do, learn the blessedness of giving to themselves to their kids, not indulgently, but with love that includes loving discipline, time, and personal investment. A parent learns that life isn't about what you keep, harbor, husband, or get for yourself, it's about what you give away. Parents have a sacred and fulfilling two-fold responsibility. First, they are to prepare their own children for adulthood, nurturing them with the two sides of the coin of love: gracious love and gracious discipline. Second, they are to "make disciples," teaching their children to know the God we meet in Jesus Christ so that they can become not only their children, but God's children as well. Parenting is a daunting thing. But God has also engineered it to be one of the greatest blessings a human being could ever experience. And, for those who seek to follow Christ, parenting can be a tremendous calling in which to learn love, humility, selflessness, and a right relationship with money and possessions, among other things. *By the way, it has always struck me as absurd that people my age can get "senior discounts," something utterly unnecessary for most of us, while young couples with kids and mortgages have to pay full price. It ought to be the other way around, shouldn't it? It's exhilarating to be part of a denomination devoted to the authority of God's Word over faith, lives, and practices. Exhilarating too, is the NALC's commitment to making, forming, and empowering believers to enjoy personal relationships with Christ through Christ's body, the Church, and to carry Christ into the world! 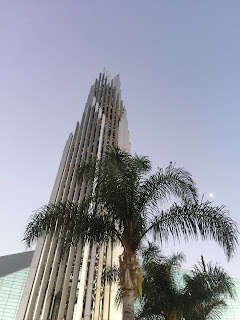 Last night, we had a free evening and the four of us from Living Water Lutheran Church who are attending Luther Week decided to take the 1.2 mile walk to what was once The Crystal Cathedral of Garden Grove, California. The name was given to what had formerly been Garden Grove Community Church, a congregation of the Reformed Church of America, founded by the late Robert Schuller, after the congregation--with lots of financial help from viewers of Schuller's Hour of Power broadcast--erected a building designed by architect Philip Johnson. There were rumors for years that the Crystal Cathedral was a financially overextended institution, less invested in being a congregation making disciples in its community than in keeping an institution with a large TV studio afloat. After Schuller retired and his son took over as pastor of the congregation, including offering the Biblical call to repentance and new life through faith in Jesus Christ, global support for the Crystal Cathedral shrank. So did giving from around the world. The Crystal Cathedral's ministries fell apart, victim of a founder's ego and his consequent edifice complex. Schuller may well have had positive and godly motivations for his approach. But as his ministry fell apart with family members suing each other amid recriminations and taking sides, the Crystal Community Church died. But now, the six buildings will not become ignored or vandalized, like some oversized Sears store decaying before the forces of urban change. 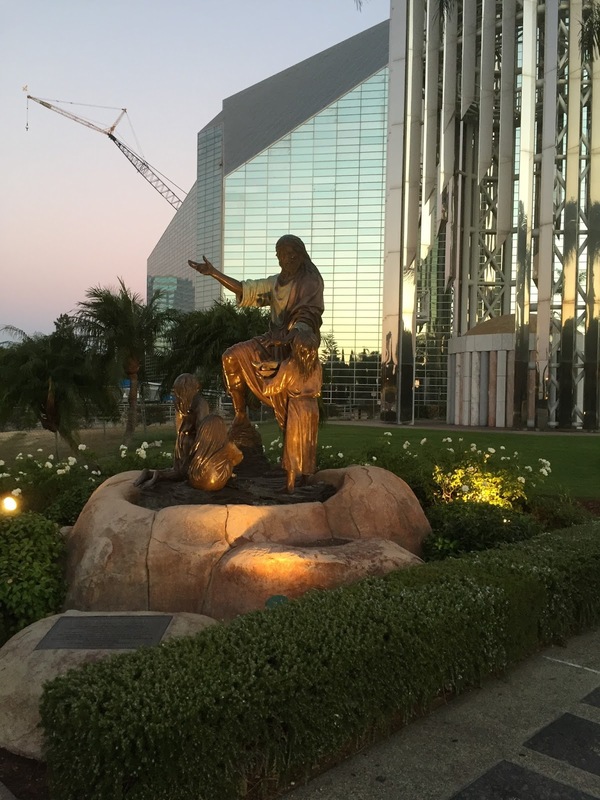 The Roman Catholic Diocese of Orange has purchased the campus, renaming it Christ Cathedral. I like the name, because it points to the only One Who can save us from sin, death, and futility, rather than to the architectural innovations involved in the design and erection of the building itself. 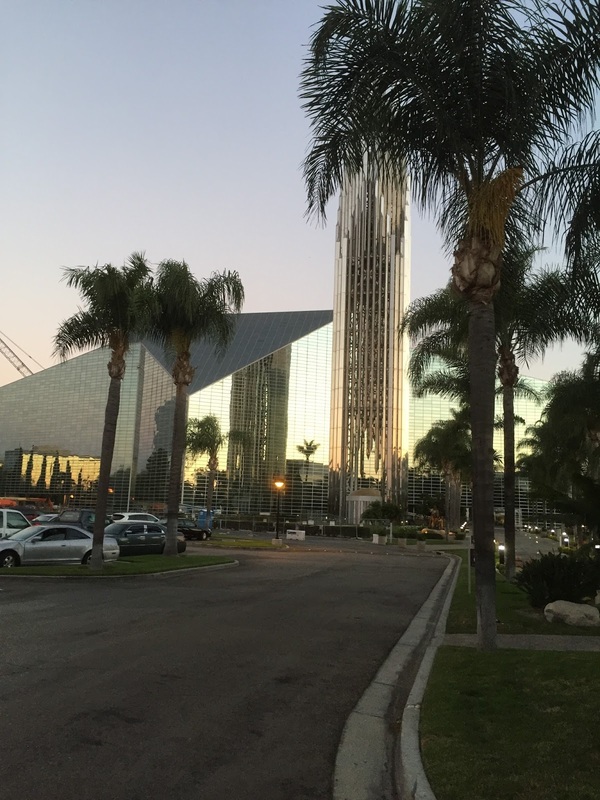 While the Crystal Cathedral sanctuary will not be fully remodeled for two years, other buildings are being used. We noted that in one building, a youth group was gathered, a group of adults were studying Scripture, and a choir rehearsed. One building has been dedicated to pastoral care. It's exciting to see this place being repurposed by a Christian denomination. But the Crystal Cathedral is also a cautionary parable. The Church is charged by Jesus with one mission only, to, in the power of the Holy Spirit, call people to become disciples of Jesus so that they can live each day with the freeing forgiveness of God and can look forward to an eternity with God. Buildings can be used as tools to facilitate that mission. But they are only tools, not ends. To think otherwise, is really faithless to Jesus Christ. 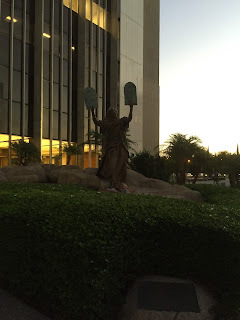 Below are some pictures I took on the Christ Cathedral campus last night. To the left in the picture above is the frequently-televised "cathedral" itself. On the right, is the famed tower. Here, a sign explains plans for turning Crystal Cathedral into Christ Cathedral. I wonder whether several nearby businesses will change their names, including the Crystal View Apartments and the Crystal Car Wash. This statue portrays Matthew 19:14, when Jesus said, "Let the children come to me." I liked this shot showing the Prayer Tower, SoCal palm trees, and the moon clearly visible on a cool night. It's hard not to love southern California. 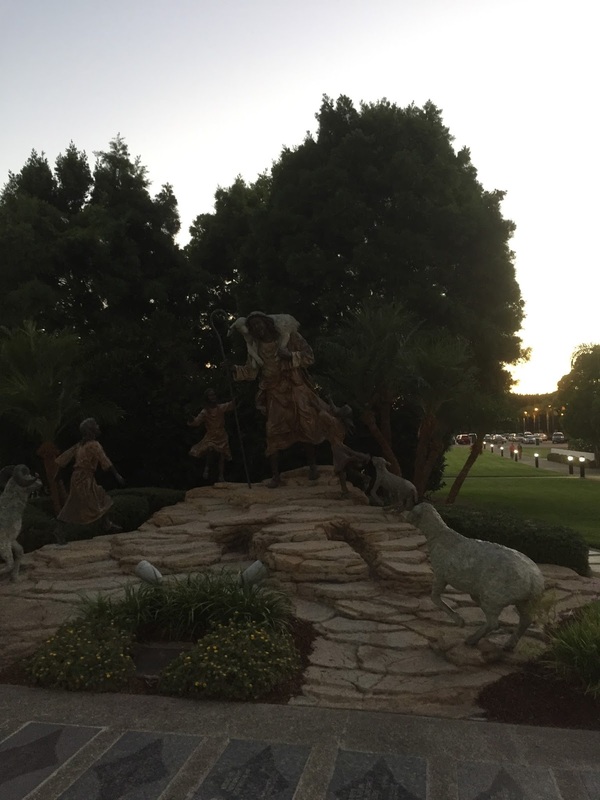 This statue portrays the Good Shepherd, which is how Jesus describes Himself in John 10:11-17. 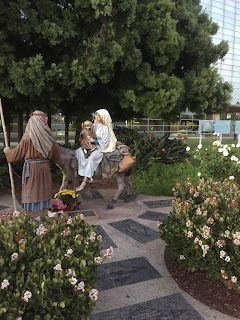 This statue's subject is the flight to Egypt by Mary, Joseph, and the baby Jesus. You'll find that bit of history portrayed in Matthew's gospel. Why would any city or country want to host the Olympics? That's why Malcolm Gladwell says the Olympics should be split out by events in various cities and countries. To me, Gladwell's proposal makes sense, sparing cities and countries $12-billion boondoggles that benefit no one by the International Olympic Committee. The apostle Paul is often portrayed as a rigid sexist. You can isolate passages from Paul's New Testament writings to force such a message on him. But that's eisegesis, imposing our own constructs onto a piece of Scripture, rather than exegesis, deriving its clear meaning from the actual words and context of the passage. Paul views marriage as a covenant of mutual submission and service which wives and husbands enter under the lordship of the God we know in Christ. This morning for my quiet time with God, I read Paul's inspired words in 1 Corinthians 7. In the chapter, Paul talks about marriage. I found that Eugene Peterson's rendering of the chapter refreshed my understanding of Paul's words, written to a congregation among whom sexual escapades were on the loose, just as some devout believers wondered if they should even be married. Now, getting down to the questions you asked in your letter to me. First, Is it a good thing to have sexual relations? And don’t be wishing you were someplace else or with someone else. 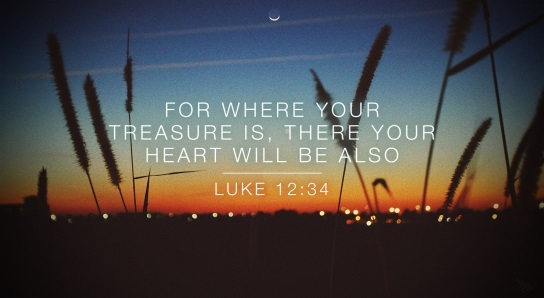 Where you are right now is God’s place for you. Live and obey and love and believe right there. God, not your marital status, defines your life. Important things to pay attention to in the twenty-first century. That can be taken several ways. One way is hinted at in the line, "I feel something so wrong / Doing the right thing." Doing the right thing often feels right, makes you feel more alive. Sin is tempting, for example, not because it's ugly, but because it's attractive. Another way is more overtly Christian. (Band members are Christian, but Onerepublic isn't a "Christian band.") The New Testament teaches that those who repent and believe in Christ submit to the death of their old sinful selves so that the new selves can be raised with Christ. So, Christians can easily sing that everything that kills the old us brings us to life. There are other ways the line could be seen. Most probably, it's just a song lyric.